UPDATE: There are only a few spaces left – book now! 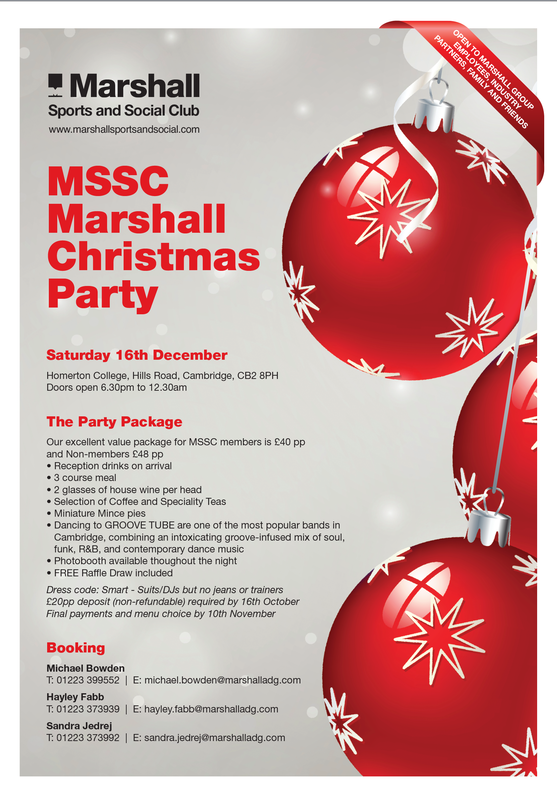 The annual MSSC Christmas Party will be held once again at Homerton College, Hills Road, Cambridge CB2 8PH. 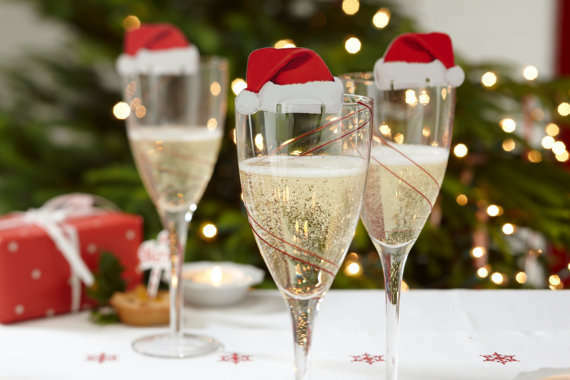 This was an extremely popular venue last year so be sure to book early to secure your places! It is open to all Marshall Employees, family, friends and business partners. Please see the posters below for further details and menu choices. Our excellent value package for MSSC members is £40 per person; and non-members is £48 per person.